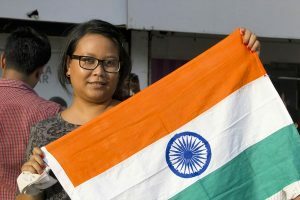 We want to see more people in India getting to know Jesus, to receive biblical preaching and teaching, to know their Jewish roots and to share the mission giving the gospel back to the Jewish people. Our first project in India was the release of a book by Carl-Henrik Karlsson in 2007. The book was called “Come and See”. Today, our focus is to inspire people to participate in Israeli mission. The message of Jesus as the Messiah proclaimed to the Jewish people emphasizes God’s faithfulness, while the message of Jesus Christ proclaimed to other people highlights God’s mercy for those who were without hope and without God in the world (Ephesians 2:12). In order for both of these aspects to be present in Church, it is important that Jews believing in Christ, and Gentiles have contact and get in touch with one another. 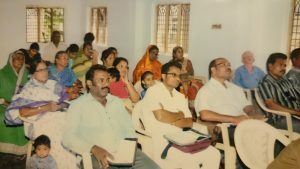 Today, we have a small scale work based on a friendly relationship we have had for several years with an Indian pastor – Koti Paradeshi – who leads three local churches in Kannurupalem, a poor community and distant part of Andhra Pradesh. 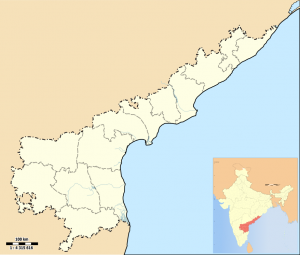 Andhra Pradesh is a state on the East Coast of India with about 85 million inhabitants. The proportion of Christians is 1.83% in this state, whereas the overall percentage is 2.34% in India. In 2007, we translated and printed Carl-Henrik Karlsson’s book “Come and See”, in the local language Telegu. The first edition was fully distributed, and the book was then reprinted again – this amounted to a total of about 4000 copies. 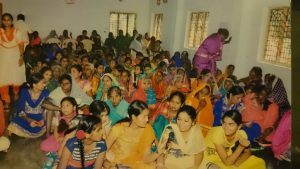 It is via a large number of local pastors that the distribution took place. 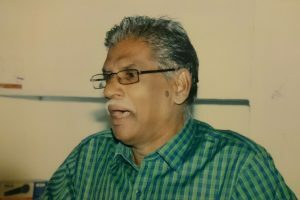 Our contact in India was Joseph Babu, from Rajahmundry, Andhra Pradesh. Here are some comments from people who have read “Come and See”. One of the most important thing that has happened in my life as a pastor was to read the book ”Come and See”. I have read many Christian books in my life, but this book is different. I received many answers to my questions about the Bible through “Come and See”. It is very impressive to read about the “Prayer of Life”. The whole book is good and wonderful and very useful in my work for the Lord. I felt that I got spiritual clarity after having read “Come and See”. I really got a wonderful lovely feeling in my heart, each chapter is very valuable. I usually use the book in my evangelical mission, especially the chapters about the ”God of the Bible”. My work has really been blessed and many have come to Christ through the preaching from the book. This book clearly explains who Jesus Christ is. Many spiritually blinds have opened their eyes through the chapter about why Jesus must die. This book is a great gift from the Lord in the work of saving people in the idolatrous country of India. I lived as a Hindu idol worshiper. I got this book through a pastor. I strengthened my faith when I read about ”from death to life” and that ”Jesus is coming”. I felt how God touched my heart and my sinful life. I am very happy to have read this book. Thanks.